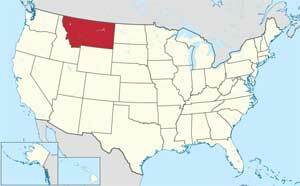 Acceptance into nurse schools and nursing programs in Montana is extremely competitive. Volunteer experience is strongly recommended, and high grades are essential to be even considered. Potential employers love Montana nursing graduates since they are so well educated and trained. There are several different educational path options available in Montana for those who are considering this exciting and worthwhile career. Montana recognizes two separate LPN designations: an associate degree which takes two years to complete, or a certificate based program that is completed in about a year. There are 5 accredited LPN programs that are scattered throughout the state. The Montana State Board of Nursing has set guidelines for the LPN curriculum. Generally included are topics that will prepare students to take and pass the NCLEX-PN such as diet and nutrition for patients, chemistry, physiology and anatomy, pharmacology, psychology and geriatric, mental health and maternity and child nursing. It is a well-rounded program that exceeds standards set in some other states. An LPN in Montana can expect to perform many duties, including administering of medications, diagnostic procedures and front-line patient care. 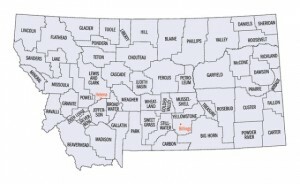 Montana has two options for receiving an RN degree. Both of them require the potential student to have about ten prerequisite courses in general studies such as biology, chemistry, anatomy and physiology and psychology before they apply. There is either a two year Associate Degree in Nursing (ADN) or a more advanced four year Bachelor of Science in Nursing (BSN). Either degree will allow you to write the NCLEX-RN exam upon graduation. The ADN program focuses highly on practical training over the two years, while the BSN programs also cover preparation for advanced studies in the second half of the course. There are 8 accredited ADN and BSN programs in Montana, but roughly 50% of students choose the BSN program because it will prepare you for a wider variety of career options. For current RNs in Montana, who wish to further their education, online programs from RN-BSN or RN-MSN are available. This is becoming a workable solution for access to continuing education for nurses who live in the rural areas. Clinical training will be provided within your community or at a conveniently located facility so that long distance travel is not needed. This is the best time ever to get into nursing.